Source: Received from publisher in exchange for honest review. Thanks! The good: When I look back on the books I've read, it's hard to pinpoint many that portray female friendships in a realistic light. The friendships are either really bad or really good for the main characters but every relationship, romantic or otherwise, has its ups and downs. Your best friend can be your biggest supporter during a rough moment in your life and other times, she may infuriate you to no end. No one is perfect and neither are the relationships in your life. 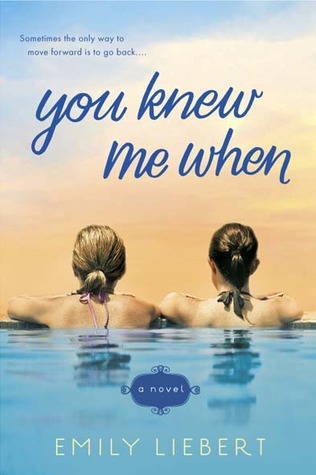 You Knew Me When is a great portrayal of two different women who started off as childhood best friends and the not-so-smooth transition of their relationship into adulthood. It's not easy but there are just some connections you can't shake, even if you try, and that comes across so clearly here. The book starts off with a glimpse into Katherine Hill and Laney Marten's present day lives. 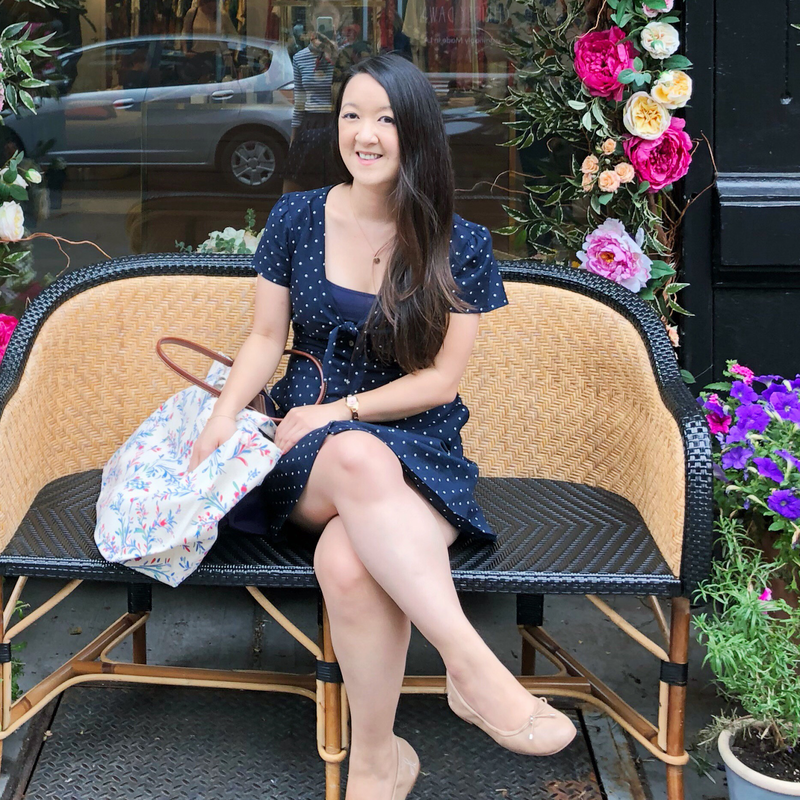 Katherine is the head executive of one of the largest departments at Blend, a major cosmetics company, located in New York. She's everything you'd expect a person in her position to be - powerful, controlling, a workaholic and fixated on physical appearances (mainly her own). On the flip side, there's Laney who's been living in the same town all her life, married to and still in love with the man she met as a 17-year-old (who also got her pregnant around this time), mother to a teenage daughter and working a job she doesn't really love. Then the author takes us back to when they first met as 12-year-olds and it's at this point where I have really have to applaud on how she handled the storytelling and the characters. The book alternates point-of-views and times (past and present) seamlessly. From that first glimpse into their life as adults, I thought - ok I have these two women figured out. Then we see them as children and even though it seems like they're so different from who they are now.. they're really not. You can see traces of the women they've become in the young girls they once were. And when the author switched back to their present day, I found myself looking at Katherine and Laney in a whole new light. Suddenly I wanted to understand what happened to get them where they are now and what made each of them tick. The circumstances that bring them back together again are interesting and watching them work through the mess (literal and figuratively) is… something else. I mean the tension and frustration was so palpable. I could feel it as if it were my own. But I could also feel the undeniable bond they had in spite of the years spent apart and ultimately that's what this book is all about. (Potential) reservations: I don't really have any specific ones but I know some people aren't fond of too many pop culture references and there are a few here. Do I recommend? : I do! If you're in the mood for adult contemporary fiction, with a focus on friendship, I would recommend this! Thanks to the publishers and the author, I'm giving away copy of the book and a limited edition Zoya nail polish set (each color is named after a character in the book). You have two weeks to enter! 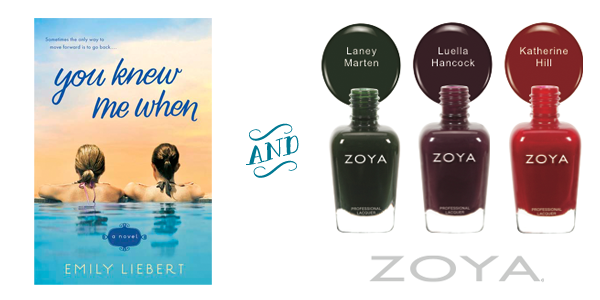 Copy of You Knew Me When by Emily Liebert + special edition Zoya nail polish set, named for characters in the book. 1. Contest is US/Canada only. 2. Publisher provided the prizes for the winner and will be the ones to mail prize pack out. 3. Once contacted, the winner will have 48 hours to respond with their mailing address. Failure to do so will mean the prize is forfeit, and a new winner will be chosen. 4. Contest ends Sept 17, 2013. I feel like it's been awhile since I read a friendship story. This definitely seems up my alley, and I'm so glad you liked it. Now if Magan loves it too (and I feel like she will) I may have to buy this book? And break my ban? Am I allowed?? Oh I haven't heard of this one previously but it sounds SO GOOD. I've been pretty successful with Women's Contemp Fiction, so I want to pick this one up. I love girl-to-girl relationships, and it looks like Liebert did a fantastic job. It's always impressive when an author storytells from different POVs and time periods. And I think I can deal with the pop culture references. :) Lovely review, Rachel! This sounds so good to me, I love a book with friendship at the heart of it, and I know some people don't like shifting POV's or times, but I love having those glimpses into the characters mindsets at the most pivotal moments for them. I actually like pop culture references. I also need a good friendship book, which are few and far between. I might have to give this a try! This book is already on my to-read list. Can't wait! I'm totally interested - the book looks super interesting! I love books about best friends! There's a sincere lack of them in my life, and whenever a new one pops up on my radar, I get eager to check them out. This story sounds really awesome! I love that it traces their friendship back to the roots. And how it also feels like, even though they're different as they got older, something still connects them together. Great review! I'll echo some of the previous commenters - I love books about friendship! I actually saw this book in Target the other day and have been curious about it ever since. 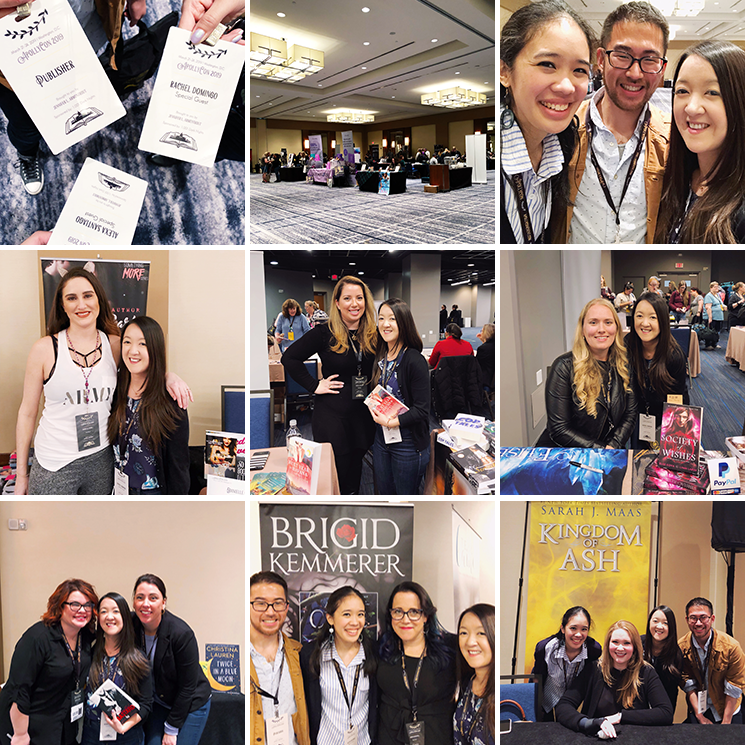 So happy to hear you enjoyed it!